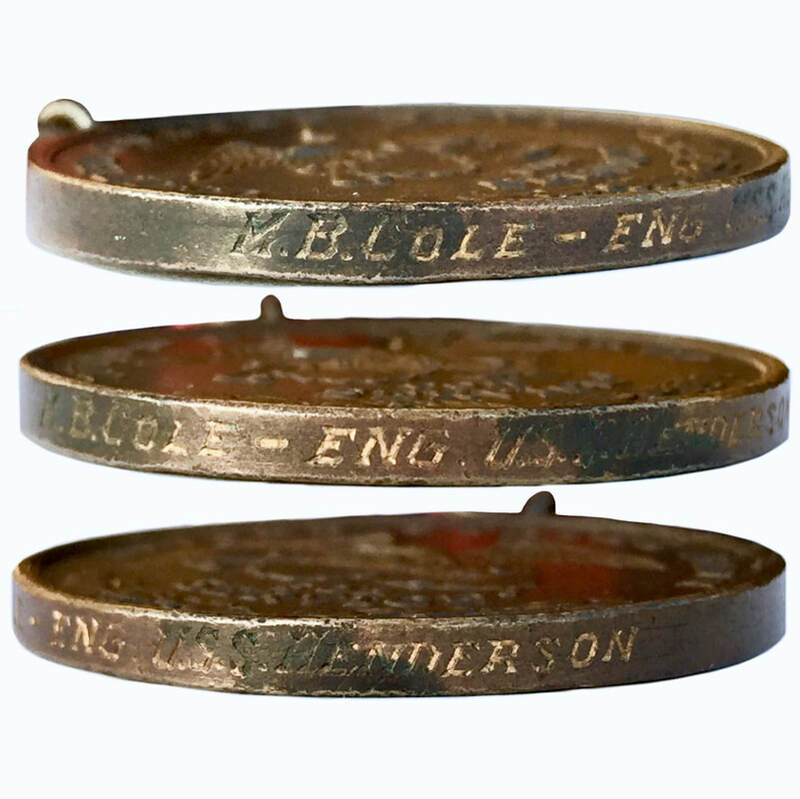 "M. B. COLE ENG U.S.S. HENDERSON"
The first USS Henderson (AP-1) was a transport in the United States Navy during World War I and World War II. In 1943, she was converted to a hospital ship and commissioned as USS Bountiful (AH-9). Named for Marine Colonel Archibald Henderson, she was launched by Philadelphia Navy Yard on 17 June 1916; sponsored by Miss Genevieve W. Taylor, great-granddaughter of General Henderson; and commissioned at Philadelphia, Pennsylvania on 24 May 1917, Lt. C. W. Steel in command. 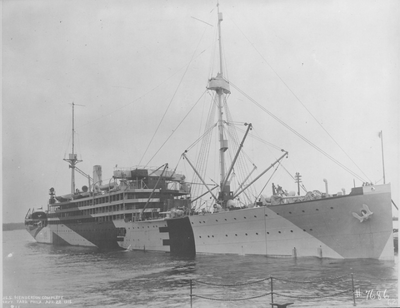 Following the armistice, Henderson made eight more transatlantic voyages bringing home members of the A.E.F. She carried more than 10,000 veterans before returning to Philadelphia on 27 December 1919. 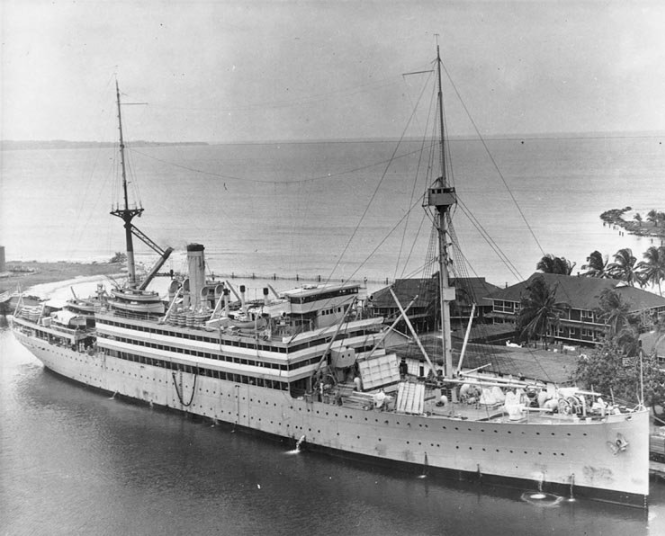 She then took up duty as troop rotation ship for Marine units in the Caribbean, carrying Marines, their dependents, and supplies to bases in Cuba, Haiti, and other islands. 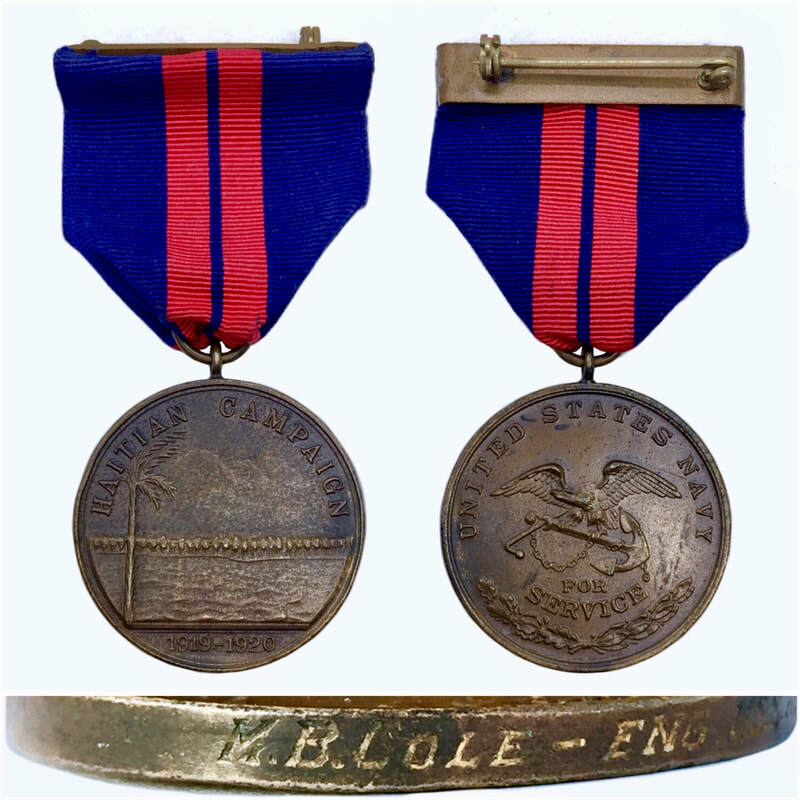 She also participated in Marine training maneuvers in Florida before returning to Philadelphia on 6 July 1920. After an extended period of repairs, the transport resumed her duties in the Caribbean. 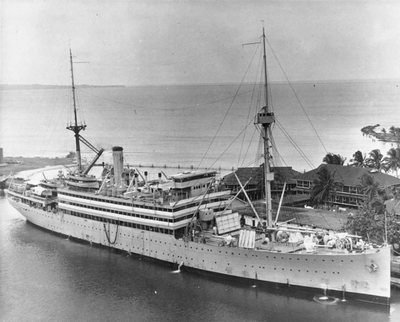 This was interrupted from 21 June to 21 July as Henderson carried military and civilian leaders to observe the historic bombing tests off the Virginia Capes. During the next few years, she also performed ceremonial duties, embarking a congressional party to observe fleet maneuvers in the Caribbean in the spring of 1923, and carrying President Warren G. Harding on an inspection tour of Alaska. The President called at Metlakatla, Ketchikan, Wrangell, Juneau, Skagway, Seward, Valdez, Cordova and Sitka in Alaska, as well as Vancouver, Canada. He reviewed the fleet off Seattle from the deck of Henderson, and departed on 27 July 1923, only five days before his death.